Conrad Schumann was an East German soldier who famously defected to West Germany during the construction of the Berlin Wall in 1961.On 15 August 1961, the 19-year-old Schumann was sent to the corner of Ruppiner Straße and Bernauer Straße to guard the Berlin Wall on its third day of construction. At that time and place, the wall was only a single coil of concertina wire. From the other side, West Germans shouted to him, “Komm’ rüber!” (“Come over!”), and a police car pulled up to wait for him. 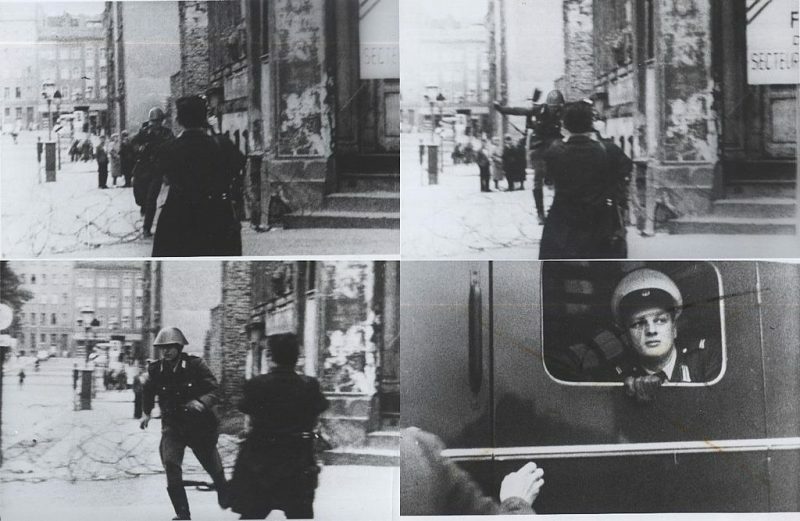 Schumann jumped over the barbed wire while dropping his PPSh-41submachine gun and was promptly driven away from the scene by the West Berlin police. West German photographer Peter Leibing photographed Schumann’s escape. His picture has since become an iconic image of the Cold War era and featured at the beginning of the 1982 Disney film Night Crossing. The scene, including Schumann’s preparations, has also been filmed on 16-mm film from the same perspective. After the fall of the Berlin Wall he said, “Only since 9 November 1989 [the date of the fall] have I felt truly free.” Even so, he continued to feel more at home in Bavaria than in his birthplace, citing old frictions with his former colleagues, and was even hesitant to visit his parents and siblings in Saxony. On 20 June 1998, suffering from depression, he committed suicide, hanging himself in his orchard near the town of Kipfenberg in Upper Bavaria. 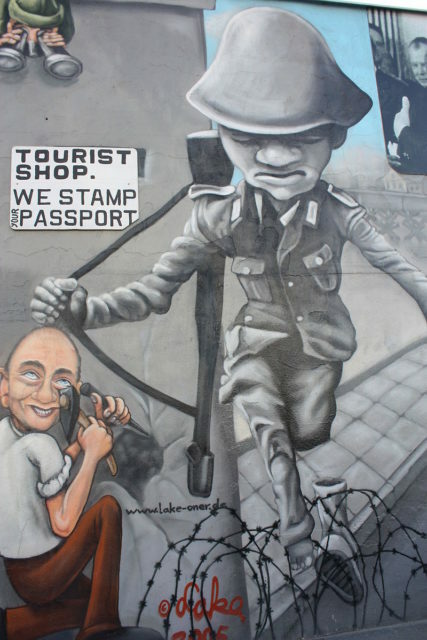 In May 2011, the photograph of Schumann’s “leap into freedom” was inducted into the UNESCO Memory of the World programme as part of a collection of documents on the fall of the Berlin Wall. 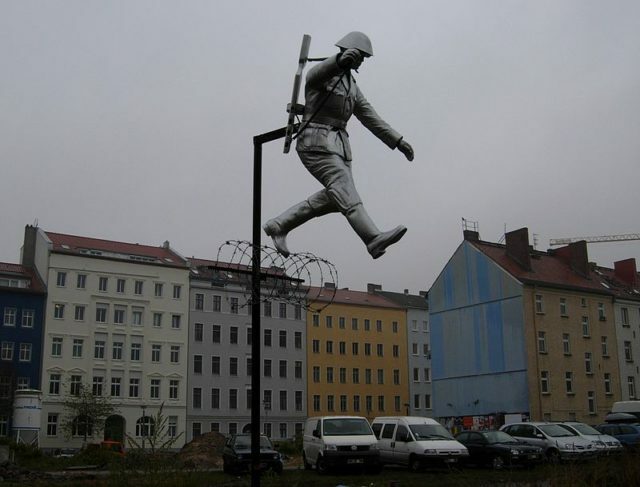 A sculpture called Mauerspringer (“Walljumper”) by Florian and Michael Brauer and Edward Anders could be seen close to the site of the defection, but has been moved since then to the side of a building on Brunnenstraße, several meters south of Bernauer Straße.